Walking into studio2stage I had no idea what to expect. I was nervous, and so excited that I couldn't stop smiling. The rehearsals were so much fun, just seeing the dances come together and watching the choreographers faces as they watched them come together was such a good feeling. studio2stage surpassed all my expectations. Even having the choreographers treat us more as friends than young dancers that they were teaching, made it that much better. The production crew, the choreographers, the musicians and the dancers made those 9 days the best 9 days of my life. This experience showed me that there is so much more to Irish dance than just competing, there is a whole new side to it. I can't describe the feeling of walking out onto that stage for the first time. You get chills as soon as the music starts playing, and the crowd goes wild! This was so much more professional than I had expected. The show we put on in just 9 days was unbelievable. I can't thank everyone enough for making this experience so amazing for me. You go to bed wanting the morning to come faster just so you can go to rehearsal. The costumes were incredible as well, and just the way that they fit into the dances so perfectly. Looking back at the pictures makes me want to go back and do it all over again. All the laughs, dance parties, and the pizza parties we had just topped it off. 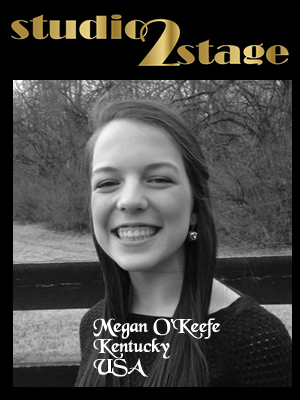 I am beyond proud of myself to be able to say that I am a cast member of studio2stage 2015. 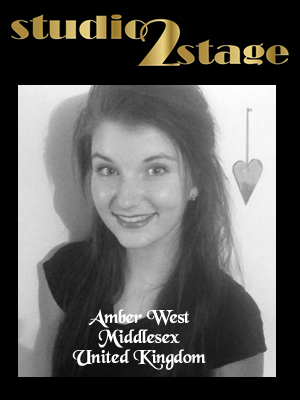 Bring on studio2stage 2016! Hi s2s team, missing you guys so much! 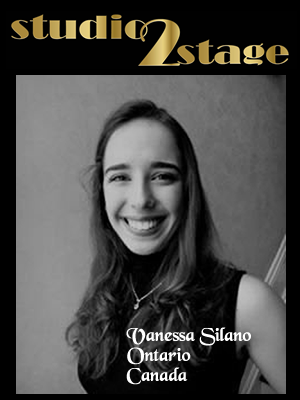 When I first arrived at studio2stage I knew it would be such an amazing and fun experience, although I really had no idea what was to come. From the moment I was picked up from the airport, everyone was so welcoming and made me feel so at home. Being able to work with so many talented choreographers, musicians, dancers and organizers was such an amazing opportunity. At the beginning, while meeting everyone we all had our own individual styles and talents. Once we all came together to put on the production, it was as if everyone joined together as one. I loved the way it gave a whole new perspective on Irish dancing. Being able to work with and get to know my own competitors from competitions was also an experience like no other. We all worked hard together as teammates instead of as competitors and this gave Irish dance a whole new and amazing atmosphere!! Everything, from the auditions to show day was done in such a professional and organized manner. Throughout the week I felt as though I was in a real professional show! The friends I have made, the individuals I have worked with and the experience I have had are all things that I will never be able to forget! Although the many hours of training, sore feet, tired muscles, and the difficult material were all challenges, nothing felt as hard as having to say goodbye to the studio2stage family. I would like to say a huge thank you to everyone involved in making this such a fabulous 9 days! I have grown as a performer and have learned so much thanks to each and every one of you. It all seems like a dream now, but the best dream I've ever had!! What an incredible experience I have had! Cannot wait to audition for 2016!!! studio2stage was one of the best experiences I've had in my life! To be given the opportunity to start off performing in a show in America is something I never thought would happen but by studio2stage creating this show has given dancers this chance. This experience gives you an insight into what being a professional dancer is all about, the long hours of constant drilling is definitely worth it as the show turned out to be amazing . I have made so many friends that I will definitely be staying in contact with and I want to thank Michelle and Jim as well as the choreographers Miriam, Aidan, James and Zach because thanks to you studio2stage 2015 was a great success! At the beginning of studio2stage I was very excited but I didn't know what to expect. I came in with one really good friend and when Jim said we would make tons of new friends, I didn't believe him. After long days of fun, but hard work, the studio2stage crew became one huge family. This experience has further encouraged me to become part of show. These 9 days were some of the best 9 days of my life. Thank you so much to all of the choreographers, Michelle and Jim, the production team, Siobhan, the musicians, and of course all of the other dancers in the show! We couldn't have put on such a great show without all of us! Bring on 2016! 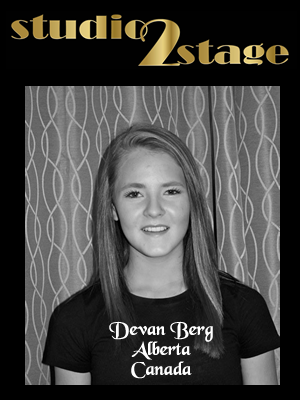 When I first arrived at studio2stage, I was extremely nervous. I was nervous about the rehearsal schedule, learning my dances, and meeting new people. By the end of day 1, I had forgotten all the fears I had came with. The rehearsals were long but very rewarding - I loved watching the numbers come together over the course of the week. I also met so many new people from all over the world that I can now say are good friends. Even though the week was one of the most tiring I have had in a while, stepping on that stage during the opening number is what made it all worth it. The feeling you get on stage is one only you can experience for yourself. I really hope to return next year to feel that same way all over again! A special thanks to Michelle, Jim, Miriam, Aidan, Zach, James, and the entire studio2stage team for making this a week I will never forget!! I hope everyone made it home safely after such an epic week at studio2stage! I just wanted to say a big thank you to the choreographers James Greenan, Miriam Lee, Zach Klingenberg and Aidan Garvey for all your your hard work and many hours spent in the studio to prepare us for such an unreal stage performance. Your patience, guidance and contagious positivity has helped me develop a stronger sense of confidence when performing onstage. I would also to thank Michelle Lee and Jim Murrihy for managing and producing such an amazing show, and arranging our trip to New York City for one of the best memories I made on the trip...dancing in Times Square! Also a huge thank you to Anton and the music department, tech crew, Siobhan O'Connell in the costume department and all my fellow dancers for making this past week at studio2stage so incredible. Not only have I learned so much about what it is like to be part of a dance show, I have also learned that it is the people you meet on the way that make the experience so special and fun! 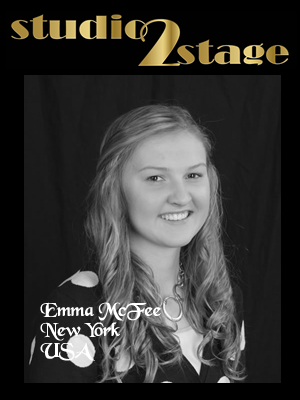 I am truly blessed to be able to say that I was part of the studio2stage crew of 2015! I hope to see many of you next year! Thank you again and I hope you have a wonderful remainder of the summer! studio2stage has been the best experience of my life!! It was just so amazing & I'm so sad it's all over already! I woke up every morning happy because I knew I was doing something I loved with such incredible, lovely & inspiring people who loved doing the same thing as me. Going over to America I didn't really know anyone at all which I was kinda nervous about but I made so many new friends from different places around the world who are friends for life & I miss so much already! Everyone was just so nice which helped make my experience so enjoyable! I want thank Aidan, Miriam, James & Zach so much for there amazing choreography & help throughout the 9 days, they were so fantastic & inspiring. And of course I want to say a big massive thanks to Michelle, Jim and all the rest of the production team as it all wouldn't of happened without yous. 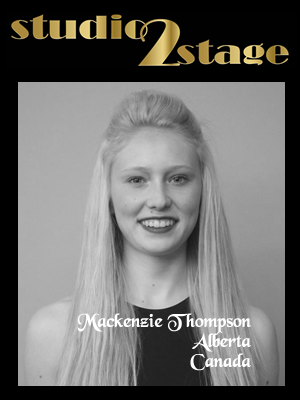 studio2stage has really helped me so much in my life as I got to experience what it is like to be a professional dancer & I loved every minute of it so much! Each day was so packed with dance rehearsals which were tiring at times but they were so worth it as they where really enjoyable & fun! I've made so made so many memories that I'll never forget! Doing the flash mob in Times Square was such an unreal experience that I still can't believe actually happened. I can't even describe the feeling that you get performing on stage, to such incredible music, in front of a full cheering audience, it was just so amazing! I really loved every minute I had over there & I'm so thankful for everyone who helped make it so fantastic! I hope to see everyone again soon!